Trey joined the M-ASC family two years ago. Throughout these years he kept a strong drive, leading to constant improvement towards his game. He is now a Freshman at American University and plays significant minutes. Jordan was a rising senior when he joined the M-ASC family. His list of accolades goes on and on (read more about his accomplishments in his bio link below). As a Freshman, he has made an appearance in every game and has a bright future ahead of him. 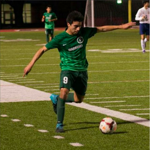 Ricardo Salgado was a striker for Wakefield High School and was named First Team All-Conference his junior year. Heading into his senior year he solidified two offers and interest from many coaches due to his dedication and hard work within the program. Chandler was a First Team All-Conference, Center Defensive Midfielder and also the Varsity Team Captain for St. Stephen's & St. Agnes High School. Over the span of his junior and senior year with our program, he received offers from 7 different schools. Mickey was the goalkeeper for Fauquier High School. Mickey displayed persistence and obtained an official offer towards the end of his soccer season. Lexi was the starboard for National Cathedral Crew. She was our first rowing athlete and adapted to our program very well. After only working with Lexi for a month we were able to get her looks from prestigious division one schools. Luke Bennett went into his senior year as a First Team All-Conference MAC, as well as MVP of the St. Andrew's Episcopal Varsity Tennis Team. He continued on his legacy and we were able to find a perfect fit for Luke. Nick joined our team mid-way through his senior year at Woodson High School and his club team AUFC 99. Within that short period we were able to find a number of schools who were interested in Nick. We found the perfect fit for Nick at California University of Pennsylvania. Alex Echazarreta , came to us her sophomore year to help her with her softball recruitment. Alex had plenty of offers but couldn't quite find the right university to call home. 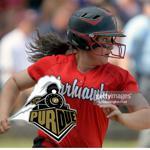 After re-evaluating her recruitment, we were able to help her find her best fit at Purdue University. 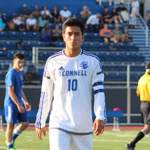 Diego Solano was a three year starter at Bishop O'Connell High School where he played in forty-eight games, scoring nine goals with ten assists. 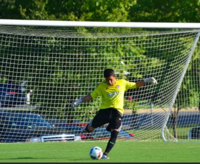 Diego joined D.C. United Developmental Academy after he graduated from high school. Upon his arrival to D.C. United, Diego received a Division I offer to the University of San Francisco. Jack Grainger, played goalkeeper at T.C. Williams High School. Within the ODP pool, Grainger is a Region 1 goalie. Jack had aspirations of playing Division I soccer. With his work ethic and our expertise, we found the best fit for Jack at Old Dominion University. Luca Delgado joined M-ASC after he graduated from High School. We helped Luca find the best suited University that could benefit him on and off the basketball court. Luca is now a Shenandoah University Hornet! He will do a great job at the next level! Quincy joined the M-ASC family in hopes of receiving a division I offer. Quincy played Center Midfielder for Woodbridge Senior High School. He made it to the state ODP pool (2001) and has committed to play collegiate soccer at Radford University.